Volym 6 av 23. OBS! Engelsk text! 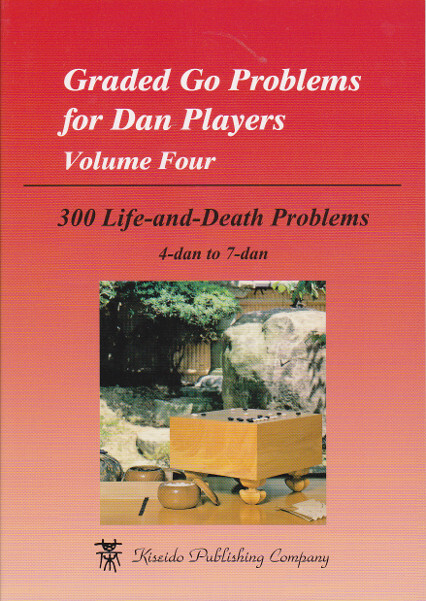 After stumbling across a haunted Go board, Hikaru Shindo discovers that the spirit of a master player named Fujiwara-no-Sai has taken up residence in his consciousness. 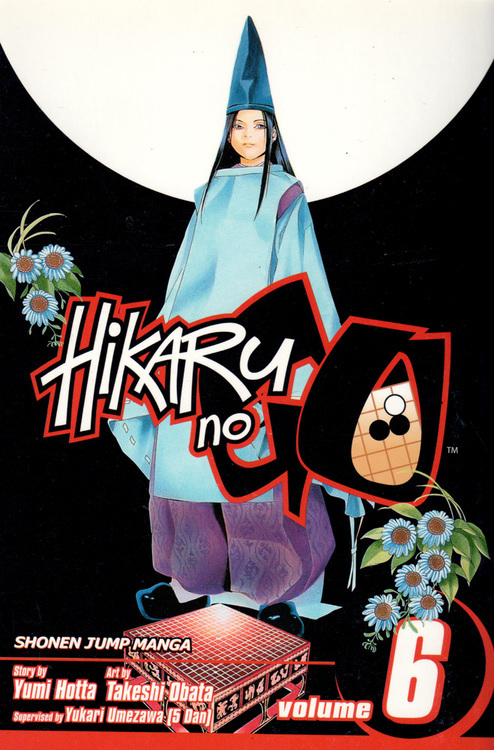 Sai awakens in Hikaru an untapped genius for the game, and soon the schoolboy is chasing his own dream - defeating the famed go prodigy Akira Toya! From the beginning, Go has been just fun and games for Hikaru. But now that Akira has turned pro, it's going to take everything in Hikaru's power to catch up to his old rival. 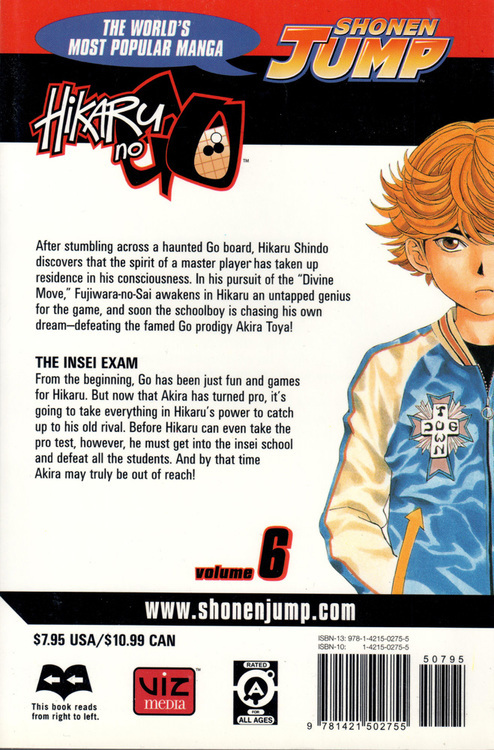 Before Hikaru can even take the pro test, however, he must get into the insei school and defeat all the students. And by that time Akira may truly be out of reach! Serien översågs av Yukari Umezawa (5 dan).